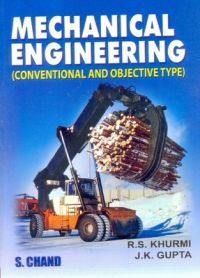 About the Author: The author of the book Mechanical Engineering (Conventional And Objective Type): Conventional And Objective Types, R.S. Khurmi completed his professional education from Phagwara and Delhi and later started his career as an Engineer in Punjab irrigation Dept. After receiving ample guidance from Professor Das at Chandigarh College of Engineering, he entered into teaching and writing Engineering textbooks. Books written by him got a great market response from India and abroad. A UNESCO survey claimed him Asia's leading and best author for engineering textbooks. At the age of 26, he wrote his first text book. Teachers referred that Khurmi brought a major change in the ways of writing and describing engineering textbooks. Various author enhancement workshops were conducted by him at numerous places in India and abroad.